By this fall, Steven Kates ’83 will be reaping the rewards of an important breakthrough on a medical mystery. Or he might be looking for a new job. That’s when Kates expects to see the results of a human clinical study of a new drug he has been working on relentlessly for six years. The drug, CMX-2043, is designed to reduce the damage to heart tissue that can occur when normal blood flow is restored after a blockage. And if the data on some 120 patients show promise, Kates and his company, Massachusetts-based Ischemix, will likely find themselves courted by venture capitalists and big pharmaceutical companies anxious to turn CMX-2043 into a gold mine. On the other hand, if the drug fails to deliver (or worse, causes harm) Ischemix’s investors will be out millions of dollars and the biotech company, with no other drugs in development, will face at best “an uncertain future,” says Kates, Ischemix’s vice president of research and development. A veteran chemist in the biotech industry, Kates majored in chemistry at Bates and earned a Ph.D. in synthetic organic chemistry from Brandeis. “People don’t realize how many failures there are in this process and the costs involved in bringing a drug to market,” he says. To be sure, consumers are less focused on the drug-discovery process than on the result — a pill they can pop every morning to keep allergies in check or control a chronic illness that a generation ago could have meant lifelong debilitation. That contrast in perceptions has created a fundamental disconnect. While Kates and his industry colleagues focus on the life-enhancing work they do — drug discoveries have saved countless lives and immeasurably improved the way people live — Americans nevertheless trust pharmaceutical companies even less than they do Congress. It’s understandable. Drugs are a potent pocketbook issue for the public, and an unrelenting wave of high-profile media stories tell about drug-test coverups and misleading marketing by pharmaceutical companies. So is the U.S. drug industry an engine of medical innovation responsible for improving the quality of peoples’ lives? Or is it a damn-the-consumer enterprise subservient to its stockholders? Actually, it’s a hybrid — the rare industry that stirs skepticism even as it saves lives. Kates compares creating a drug to building a house. “So many disciplines are involved,” he says. Big Pharma justfies its prices by citing the risks and costs associated with bringing a drug to market. Oft-cited studies and experts say it costs about a billion dollars and 10 years to bring a single drug candidate from lab to pharmacy. Industry critics say the figure is inflated and place the cost of developing a new drug — as opposed to reformulating an existing one — at between $100 million and $300 million. Still, that’s a lot of zeroes, especially when there is no guarantee that the initial drug candidate will ever win Food and Drug Administration approval. In 2004, for example, just 8 percent of compounds entering clinical trials were ultimately deemed safe and useful enough by the FDA to be approved for sale. Meanwhile, the Congressional Budget Office said that from a drug’s initial discovery to market averages about 12 years. But the homebuilding metaphor breaks down when you consider that most houses eventually get built. It is the rare drug compound that gets approved. At Ischemix, investors have waited years and wagered millions of dollars that CMX-2043 will work as intended. In 2007, the drug entered Phase 1 of clinical FDA trials, to assess basic safety. 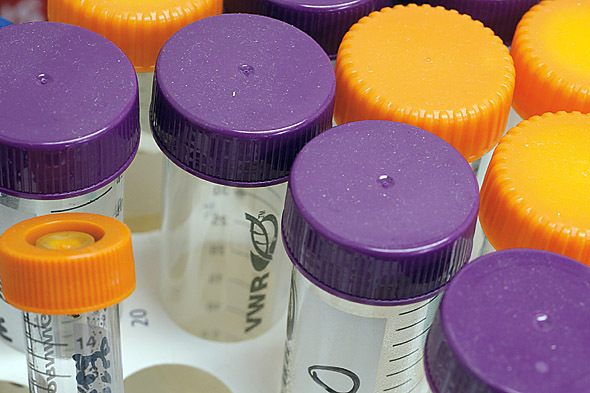 In April, a Phase 2a trial started to measure the drug’s effectiveness. Phase 3 will be the big hurdle, when the drug has to prove its effectiveness in a broad population. In the end, it may not prove effective, and Phase 3 has been a “real graveyard” for drug candidates like CMX-2043, Kates says. While testing a new cancer-fighting drug is straightforward — because success is measured in lives saved — Kates’ drug seeks a goal that’s less bold and harder to measure: minimizing post-blockage heart damage that’s not necessarily life-threatening. “Drug success has been very challenging for these indications,” he says. The lynchpin of the drug discovery process is the patent system. In the U.S., drug compounds have 20 years of patent exclusivity before low-cost generics can enter the market and sap a brand-name drug’s profit potential. However, this two-decade clock begins ticking not when the drug is approved by the FDA but when the drug is patented. So a company has a limited window to earn back its investment. Not surprisingly, the industry often criticizes the FDA for taking too long to vet drug candidates for sale. In recent years, the agency has in fact dramatically cut its average approval time to a little over a year while vowing not to sacrifice safety in the name of speed. Mike Bonney ’80 knows well the roller-coaster ride that is drug discovery. 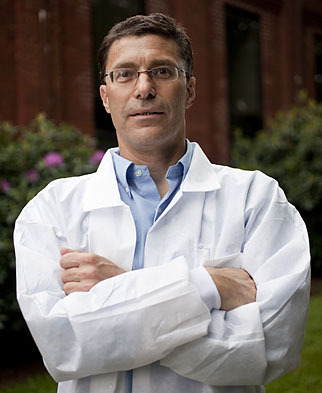 Bonney is president and CEO of Cubist Pharmaceuticals, based in Lexington, Mass. He is credited with shepherding to market the drug Cubicin, a highly successful intravenous drug in the fight against certain antibiotic-resistant bacteria. Last year, Cubist was ranked No. 1 among the “Top 100” publicly traded Massachusetts-based businesses by The Boston Globe. 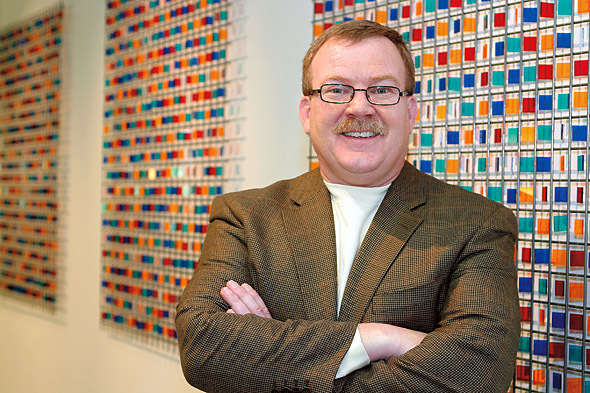 And in April, Mike Bonney was honored by the Massachusetts Biotechnology Council for his success in making Cubist a model biotech company. Recently, however, Cubist had a setback of its own. The company had hoped that a drug in its pipeline called Ecallantide would stop blood loss in patients during heart bypass surgery. But clinical human trials showed that it did not, and on March 31 Cubist announced it had stopped all work with Ecallantide. Losing a promising drug hurts, Bonney says, and he’s not just talking about the bottom line. An economics major at Bates, Bonney also knows that the business model of the drug industry doesn’t always add up in the public’s mind. Or, for that matter, to investors. Of course, when the risks pay off, they can pay off big, and sometimes drug companies just get lucky. Scientists at a Pfizer facility in England were experimenting in the mid-1990s with a compound called UK-92,480 designed to treat angina. The drug didn’t work so well on angina but was remarkably successful stimulating blood flow in another part of the body. That’s how Viagra became a $1 billion-a-year franchise. For the biggest companies, revenues grew a robust 8.6 percent a year between 2001 and 2008. Lipitor, the world’s best-selling drug, generates $12.8 billion a year in sales for Pfizer; last year, the company’s CEO earned $13.7 million. But the era of blockbuster drugs like Lipitor, Prilosec, and Plavix is coming to an end. Eighteen of the world’s 20 biggest drugs will end their patent-protected lives in the next five years. And while the anticipated rise in generic competition is good for consumers, it sends fear into the hearts of pharmaceutical executives, who worry about eroding profits. One response to this so-called patent cliff has been for Big Pharma to make deals with generic rivals that effectively delay the entry of a low-cost generic to the market. Companies say that these payments, generally millions of dollars, stave off potential patent litigation, but critics say these “pay to delay” deals merely milk a few more months of profit out of a name-brand drug. To a consumer who might view pharmaceuticals as a public good — along the lines of, say, fire protection or law enforcement — the level of profit-seeking can seem out of place, yet profits are what drive the drug-development process. 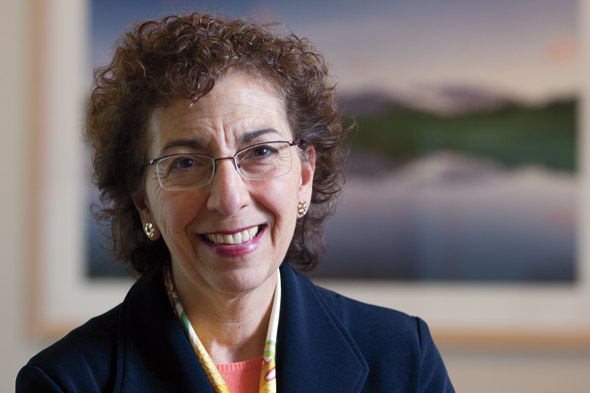 “Without profit you wouldn’t have the incentives or resources to innovate,” says Victoria Wicks ’74, vice president of external affairs for sanofi-aventis U.S. Some drug companies, including sanofi-aventis, have taken steps on their own to operate more transparently and to disclose their payments to physicians who prescribe their drugs. And the industry trade group has adopted voluntary guidelines limiting physicians’ gifts and entertainment. Efforts around transparency and disclosure should get a boost from the new federal healthcare legislation, which requires drugmakers to report their financial ties to doctors. Another federal action, this one to rein in misleading drug company marketing, came in May with the debut of the FDA’s “Bad Ad Program,” which encourages healthcare providers to report misleading drug advertisements to the agency. From the drug industry’s perspective, the problem isn’t regulation itself but the complexity of the regulatory environment, says Wicks, whose comments for this story are her own, not her company’s. “One set of national standards on transparency would reduce the need to build complex compliance systems based on different legal requirements across multiple states,” she says. Next year, the Prescription Drug User Fee Act (the law that covers market exclusivity for brand-name drugs) comes up for reauthorization, and drug industry leaders are already focusing on whether lawmakers will try to reduce the length of market exclusivity. Drug companies must “let key audiences know where we’re headed and why,” Bonney says. 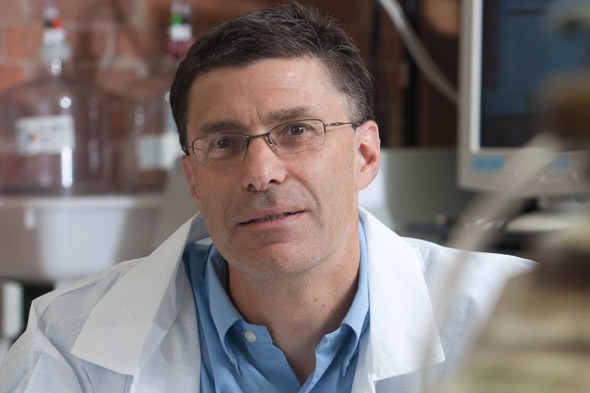 Bonney alluded to this issue in remarks he made after receiving the MassBio award in April. “Investors whose bets historically have fueled innovation are pulling back or becoming more cautious,” he said, partly because “reasonable periods” of patent exclusivity could be challenged by Congress. But the onus to improve the pharmaceutical scene is not just on regulators, Bonney says. Drug companies hoping to excel at creating drugs to treat ever-more challenging diseases must “let key audiences know where we’re headed and why,” he said in his remarks. More than anything, Bonney says, an improved spirit of cooperation is needed between the industry and regulators. At the award luncheon, Bonney told how Cubist set out to test Cubicin to treat deadly, antibiotic-resistant infections more than a decade ago. For such a drug, “there were no trial protocols, no precedent, no regulatory path, no guidelines,” Bonney recalls. So Cubist formed ad-hoc alliances with academics and regulators to study the drug’s potential. “We sat down and developed a protocol that was challenging but doable. Ultimately, we were able to make a difference in the lives of patients. Bill Walsh ’86, a former newspaper reporter and now a strategic adviser for AARP, wrote about young alumni working in post-Katrina New Orleans for the Fall 2009 issue of Bates Magazine.